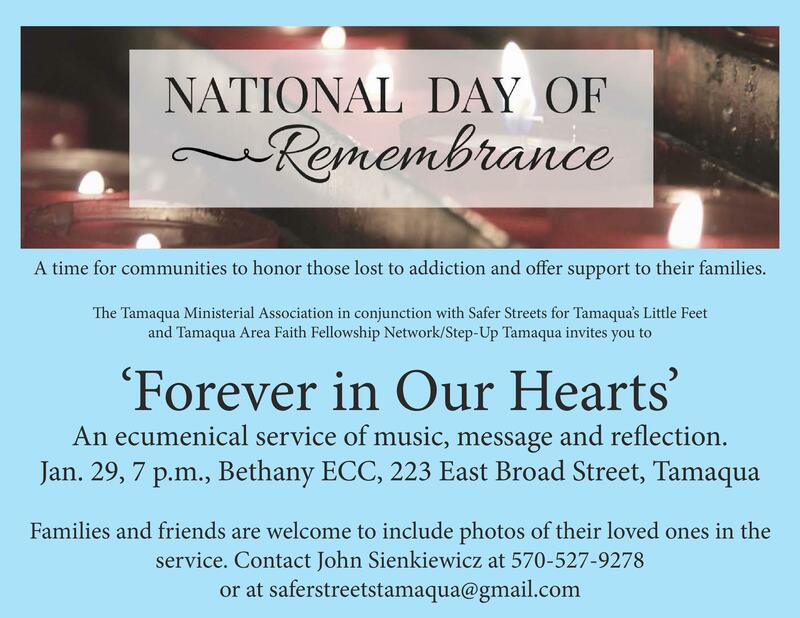 “A time for communities to honor those lost to addiction and offer support to their families.” That is the purpose of today’s National Day of Remembrance service being held at 7 p.m. at Bethany Evangelical Congregation Church in Tamaqua. PRESS RELEASE: Safer Streets for Tamaqua’s Little Feet, Step Up Tamaqua and Bethany U.C.C. are joining together to have a combined event for National Day of remembrance on Sunday, January 29, 2017 at 7 p.m. The event is hosted by Bethany U.C.C. for the remembrance of those lost to addiction. It will also serve to offer support for those families and loved ones still affected. A candle vigil will be included. 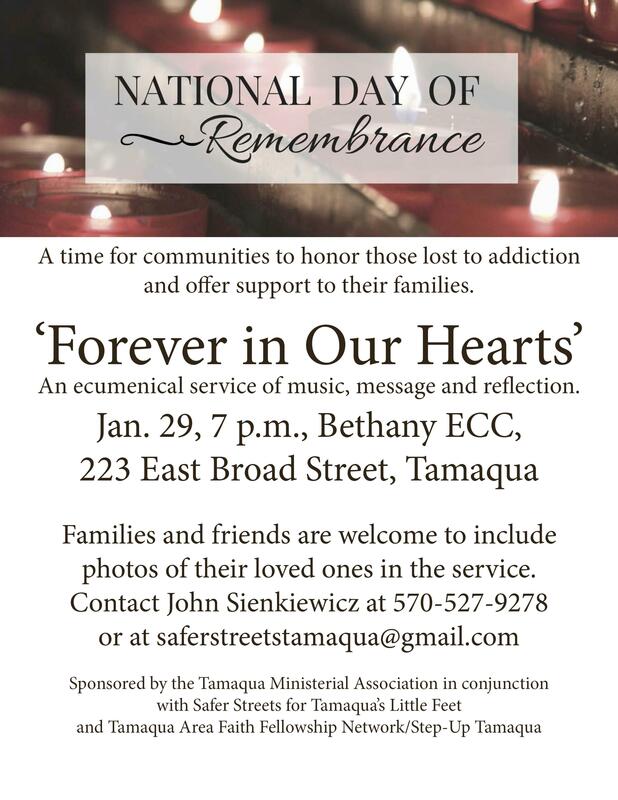 The National Day of Remembrance is a project of Addiction Policy Forum Families Committee. Beginning Sunday, January 29th, 2017, for community organizations and religious congregations will join together and honor late community members lost to addiction, and offer fellowship and support families impacted by addiction. Remembrance events may include prayer, moments of silence, candlelight vigils, poster displays, etc. For more information, visit the event on Facebook at https://www.facebook.com/events/147692245721152/.